Screening for genotypes with larger root and/or better performance under phosphorus (P) limitation is a critical task as phosphate rock reserves are being depleted. Here we examined the response of seedling traits to reduced P supply, and compared glasshouse experiments with field trials to screen genotypes with better performance under reduced P supply. 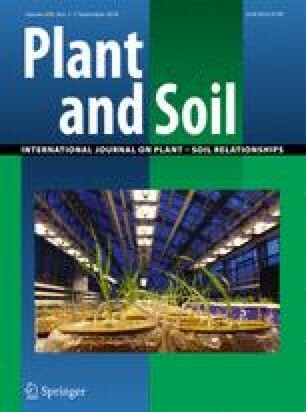 Two hundred fifteen wheat genotypes were examined for root characteristics and P concentrations under both sufficient phosphorus (+P) and reduced phosphorus (-P) conditions using the Porous Ceramic Greens Grade soil amendment as the cultivation medium in glasshouse trials. Field trials involving the same genotypes were conducted in two consecutive seasons. A further comparison was carried out between the seedling traits in the glasshouse and the field agronomic performance. Genotypes with a greater ratio of seminal lateral root length (SLRL) to seminal axis root length (SARL) under -P conditions showed a higher P concentration in the roots (RPC) in the glasshouse study. The average SLRL/SARL ratio of 215 wheat genotypes on –P condition increased 28.4% than that on +P condition. Heritability of SLRL, SARL, total root length (TRL) varied from 33.89% (SARL on +P condition) to 61.40% (SLRL on –P condition), relatively lower than that of root weight and aboveground biomass, possibly due to root growth would encounter more severely environmental heterogeneity. Among 40 accessions showing less than 5% reduction in aboveground biomass (AGB) under -P condition in glasshouse trials, 17 accessions with better performance on –P condition were identified by a further field validation. The Greens Grade culture system can be used to explore wheat root characteristics. Screening for wheat with larger SLRL/SARL ratio under -P greenhouse condition combined with field validation is a useful strategy to obtain P efficient wheat genotypes. De-Yong Zhao and Shu-Song Zheng contributed equally to this work. The online version of this article ( https://doi.org/10.1007/s11104-018-3739-x) contains supplementary material, which is available to authorized users. We thank Dr. Judy Harrington, Dr. Scott Reid (Colorado state university) and anonymous reviewers for critically reading this manuscript and valuable revisions. This research was supported by National Natural Science Foundation of China (grant No. 31272221) and by the National Key Research and Development Program of China from Ministry of Science and Technology of China (2016YFD0100706).